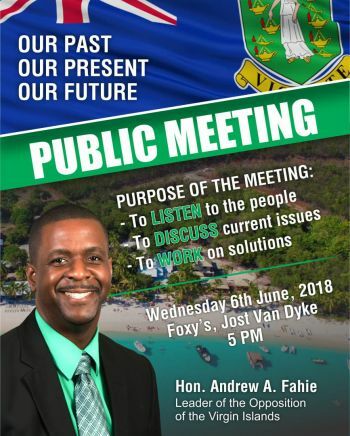 Hon Fahie on May 31, 2018—during his Virgin Gorda outreach—had called on residents there to, “to flip the pyramid,” since, the Premier and his Ministers along with the House of Assembly Members and Technocrats are at the top of the ‘power pyramid’, and the people are at the bottom. The Opposition Leader at the time told Virgin Gordians, people are the bosses and, “the time has come to make the politicians account to the people, and not the other way around”. 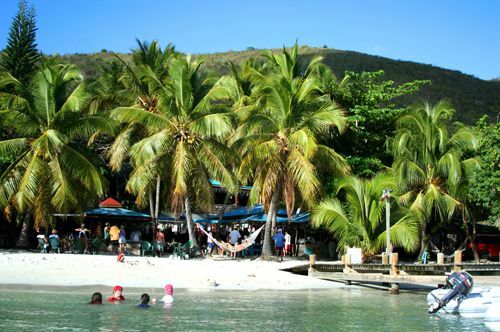 As such, “it’s time to flip the pyramid, putting the people at the top,” according to the Opposition Leader. 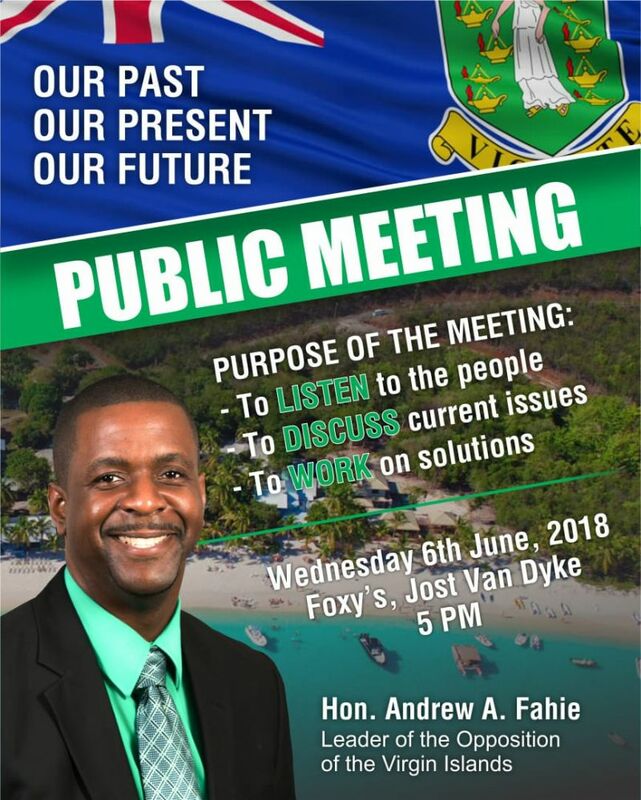 Hon Fahie’s public meeting this evening, is being held just two days before thousands of Virgin Islanders are slated to take to the streets for the ‘Peoples March,’ in protest of the National Democratic Party (NDP) government’s perceived excesses, corruption and a lack of transparency and accountability in managing the affairs of the Territory. We livin it! Yes! ‘Tis man on a mission mehson. #VIWOKE!!!FRIDAY!! !THE DAWNING OF A NEW DAY!! !JUNE 8TH, 2018!! !A MARCH IN OUR STORY. if you do not reveal your TEAM very soon so they can also go on these meetings alongside you, you will lose dearly again as the people would not have gotten to know and hear your fellow candidates. LeBron tried it and feeling the pain of the "lone" show right now, Warriors works as a team and accomplishes individual goals in the process, you are trying to do this as an individual without a TEAM. Wise up Andrew, no matter how much infighting is within the NDP when it comes to being elected they lap their individual tales between their legs and come together to make things happen (form the government). to up the game with your other candidates, other jockeys coming out the gate. You will need a strong team if your party plan to sustain.